MI6 officials helped stop the sale of equipment by a South African company to an Iranian firm, which was suspected of involvement in weapons manufacturing in Iran, a leaked spy cable reveals. According to a cable titled “Secret UK/SA eyes only,” which was obtained by Al Jazeera’s Investigative Unit, Britain said Electric Resistance Furnaces (ERFCO) had struck a deal with Iran worth between $500,000 and $1 million (£325,000-£640,000), between late 2007 and early 2009. The document reveals the work of MI6 and other foreign intelligence services to halt what they saw as the material support of Iran’s nuclear weapons and ballistic missile program. The secret document was titled: “Urgent request for assistance to halt ERFCO Furnaces supplying equipment to Iran.” It says the furnace company dealt with several front companies to ultimately serve the Iranian Shahid Sattari Ground Equipment Industries (SSGEI) organization. The furnace maker was then “advised most strongly” to end this contract when the project was already two-thirds completed. In 2013, the US imposed sanctions on Shahid Bakeri Industrial Group (SBIG) and Shahid Sattari Ground Equipment Industries “because these entities contributed materially (or posed a risk of contributing materially) to the proliferation of WMD or their means of delivery (including missiles capable of delivering such weapons),” the US State Department said. In the cable, British agents urge South African officials to intervene in the business deal between the two companies. “We would be grateful for any action you may be able to take under your export licensing laws to prevent the proposed visits going ahead, and any other dealings ERFCO and other South African entities may have with Esfahan Steel/LMI,” the document said. The #SpyCables story is going to be interesting to watch unfold. Seems like a lot of unsavory countries use us as a gateway to the West. The South African company has since shut down. A former employee denied it was supplying a military project and said the Iranian company was a petrochemical firm. “We were advised most strongly to stop. They said it was in our best interests to shut it down. We had no choice, so we did. We were cheesed off about it. We thought we were doing something legitimate and then suddenly we were told it wasn’t legitimate,” an ex-employee told the Guardian. 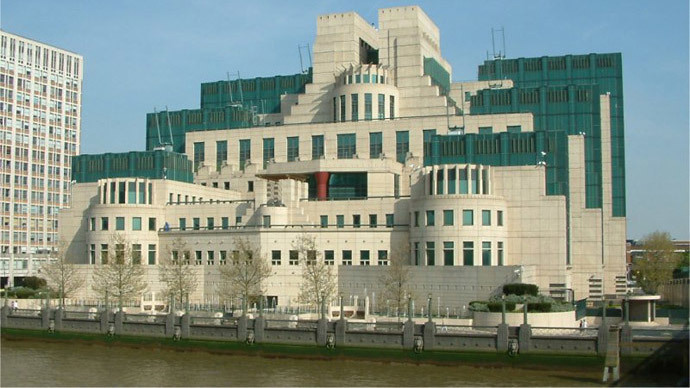 This leak provides an unprecedented insight into links between South African intelligence services and its foreign counterparts, including Britain’s MI6.